What a lovely hymn Patter chose for this fortnight's challenge. The words are all good ones to apply to our lives. 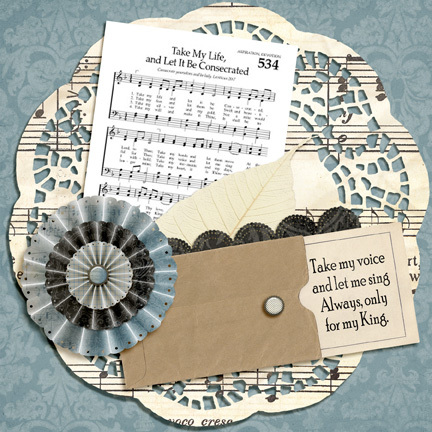 I chose to share the verse of the song that I have on my digital 6 x 6 piece because I do enjoy singing. I am not a good singer but I know that God loves to hear our praises no matter how on or off key they are. "Thank you Heavenly Father, for the Psalms which help me see that even in the depths David talked with you. Whatever my circumstances, I will learn to praise you." 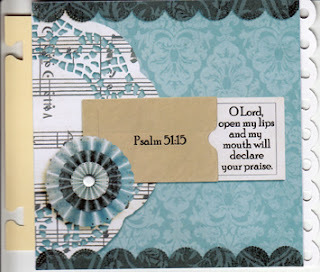 Which leads to the scripture I chose to use on my little hybrid artwork: Psalm 51:15 - O Lord, open my lips and my mouth will declare your praise. 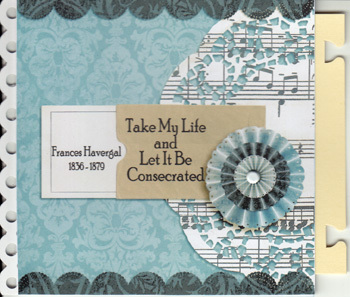 Wow Anne-Marie, each time I see your pages I love them. So very, very nice!